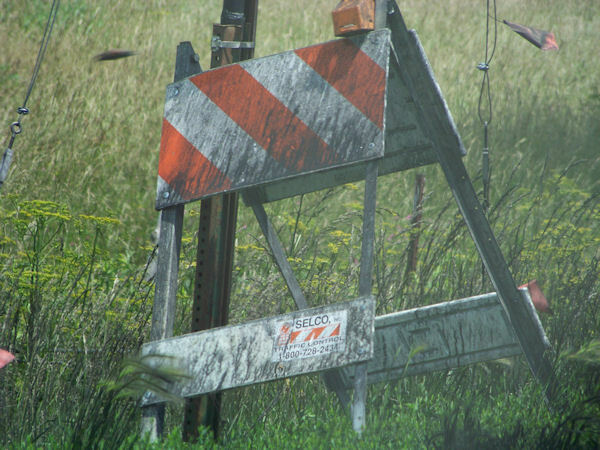 About a week and a half ago, a major spill occurred at the T-intersection at Illinois Route 9 splitting the path to La Harpe, Carthage, and Dallas City. In traveling either of the paths, one can see a rich black substance covering lanes of the road, the wildlife that resides in the ditches, and getting all over cars whizzing by the rather inconvenient construction zone. This substance is known as Carbon Black, and its appearance is much uglier than the actual affect it has on the body, as it is a non-carcinogenic cluster of particles. Kathy Doughtery of the Hancock County ESDA stated that it is mainly an irritant to the skin and lungs, causing problems to those with asthma that inhale air that contain particles of the substance. Around 30,000 pounds of Carbon Black was spilled altogether, the largest of the pools being within the first 100 yards and totaling about 10,000 pounds on its own. After that, the next largest pool was about 5,000-8,000 pounds. Dallas City seems to be the most afflicted by this substance, being a bit over five miles from the spill. The roads in town, yards, homes, cars, even the floor inside of Casey's is black from the Carbon Black. HMHTTC, a business that is regularly contracted to clean up Carbon Black factories, has been brought in to begin the long process of cleaning it all up. They also were the firm called upon to clean up after the World Trade Center bombing in 1993, and the anthrax scare in Washington DC. An exact plan of attack was discussed last Tuesday night with 250 people that included members of the Dallas City community, representatives of the Hancock County ESDA, Hancock County Health Department, and others to find the most feasible and practical way to go about the clean-up. Dougherty stressed that this will be a long process and patience will need to be practiced by those that have to see and deal with it on a daily basis until it is all extracted. She also said that it would be a good idea to use caution when driving through an area where Carbon Black is present as it gets extremely slick when wet and could cause an accident. When full-fledged clean-up efforts begin, many inconveniences will befall Dallas City and the surrounding area, as streets will be closed from time to time to discontinue the spread of the Carbon Black as they work to extract it from targeted areas. To keep up with street closings, find out more about Carbon Black, and what is being done on a daily basis to clean up the mess, websites have been established and utilized to give the most up-to-date and relevant information on the situation. Those sites are www.hancockhealth.com, www.readyillinois.com, and the Dallas City community webpage. This is an example of the Carbon Black being sprayed everywhere as it is driven through.